Citric Acid, Natural Flavor, Stevia Extract, Sucralose and Silicon Dioxide. As a dietary supplement, mix one scoop with 12oz of cold water for a flavorful taste, or 20oz of cold water fora thirst quencher. Consume during and/or after exercise or training sessions, as well as throughout the day on non-training days. Do not take if you are pregnant, nursing, having any medical condition, including but not limited to high or low blood pressure, heart disease, renal disease, hyperthyroidism, spasms, psychiatric disease, migraines, or asthma. Consult with your healthcare professional before using this or any other supplements and if you are taking monoamine oxidase inhibitor (MAOI) or any other type of medication. Do not exceed recommended serving. Do not use if safety seal is broken or missing. KEEP OUT OF REACH OF CHILDREN. 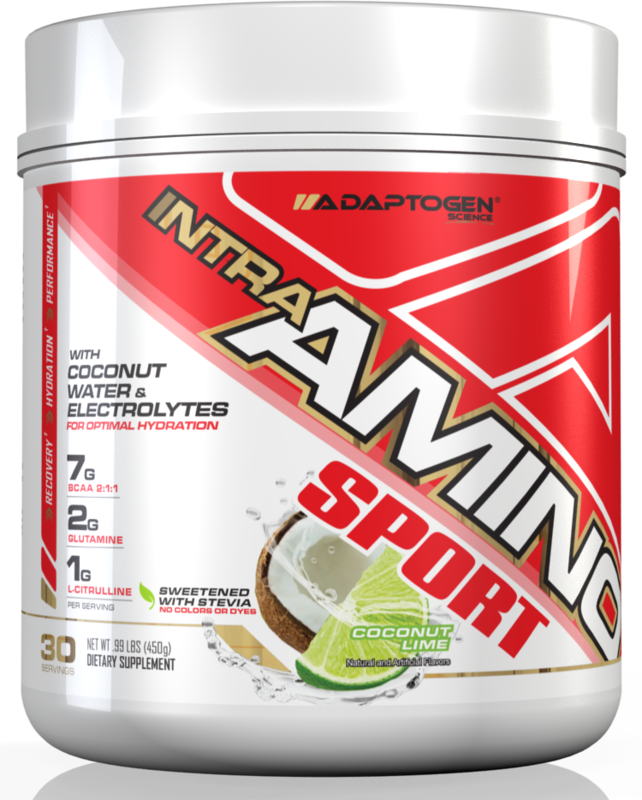 A powerful BCAA supplement with incredible flavors! 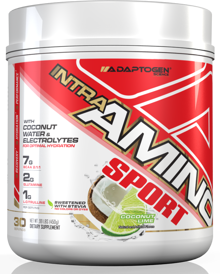 Read the most information on our Intra Amino Sport blog post, and watch our review below! Directions : As a dietary supplement, mix one scoop with 12 oz. of cold water for a flavorful taste or 20 oz. of cold water for a thirst quencher. Consume during and/or after exercise or training sessions, as well as throughout the day on non-training days. Warnings : Warning: Do Not Take If You Are Pregnant, Nursing, Have Any Medical Condition, Including But Not Limited To High Or Low Blood Pressure, Heart Disease, Renal Disease, Hyperthyroidism, Spasms, Psychiatric Disease, Migraines, Or Asthma. Consult With Your Healthcare Professional Before Using This Or Any Other Supplements And If You Are Taking Monoamine Oxidase Inhibitor (maoi) Or Any Other Type Of Medication. Do Not Exceed Recommended Serving. Do Not Use If Safety Seal Is Broken Or Missing. Keep Out Of Reach Of Children. Do Not Use If Safety Seal Is Broken Or Missing. Store In A Cool, Dry Place.